84 Inch NEC Add impact to your information. 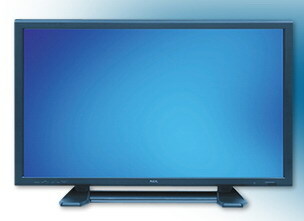 NEW 20 inch, 23 inch, 26 inch, and 30 inch LCD HDTV display rentals. What is LCD Technology? LCD stands for Liquid Crystal Display. This technology has been around for a number of years but is finally able to deliver fast motion video quality displays. The thin and light form factor is attractive to consumers. While the panel (the set itself) looks thin, the technology inside is quite extensive. An LCD is made up of pixels (picture elements). Pixels are individual, distinct, points of light. Each pixel is made up of sub pixels consisting of red, green and blue. Together the red, green and blue sub pixes combine to form a single color picture element. A panel's resolution is determined in part by how many pixels there are. A display can have hundreds of thousands of points of light (pixels) to millions of points of light, depending on the resolution. 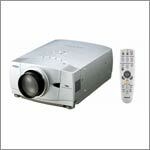 Projector Models for rent.